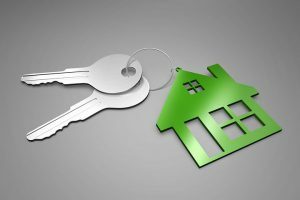 Home » How to become a landlord? If you have ever wondered how to become a landlord you came to the right place. Becoming a landlord can be very interesting but there can be some difficulties. Being a landlord logically means that you own a real estate that is free to sublet. However, that is not all that being a landlord requires, there are a lot of other things you need to check so that you can be a good landlord. A landlord that every tenant is looking for and that is not easy to find. Also, finding a good tenant is hard as well. What to do to become a landlord? As we mentioned before the main thing you need to do to become a landlord in the first place is to have an apartment or a house that you are not using and that you can sublet. Finding a good tenant isn’t an easy task but more about that later. If you have an apartment or a house you want to sublet you have to advertise it. There are so many ads these days and you need to make yours stand out so that potential tenant would call. You definitely want that your tenant is someone who is responsible and has a steady job. However, this is not something that you should follow blindly. 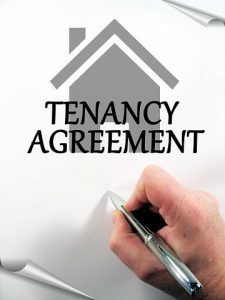 In the rental agreement, you will make for you and your tenant you can include a job field and it is up to him or her to fill that field in with the necessary information. The only thing that is important to you is that they pay the rent on time and take good care of your apartment. And other things that you can enter into the contract that you would like to be followed through. If you are for example moving to Toronto and you are subletting an apartment in the US you should probably hire an attorney to prepare a contract. There are some rules that if you want to become a landlord have to follow through. Tenants are not the only one that has some sort of rules that they should respect, landlords have them too. If you are that lucky that you are living close to your current tenants then you have to know that even though the property where your tenants are living is yours there has to be some privacy from your side. You have to forget that you have that spare key, it is only and exclusively for emergencies. Nothing else. You cannot enter that apartment as if it was your even though it is. While you have tenants that property is in some way theirs and you are the one who needs to ask them if it is ok for you to stop by and see how everything is going. They can refuse if they don’t have time for you at that point. At the end of the day, it is all about who is living in your apartment. If you are that lucky that you rent it to someone who is responsible, hardworking and who will make sure to leave your place as it was before they have moved in then you are in fact in luck. Because good tenants are hard to find, but good landlord maybe even harder. Also, it is important to emphasize if your apartment is equipped or empty, if you want to clear it for your tenants there are always the best Toronto movers to finish that for you. As we mentioned before a good tenant may be a challenge to find. But it is possible. To become a landlord, it may be easier then you think. 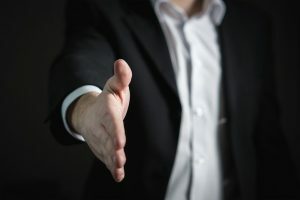 Finding a good tenant can be a skill. You should have an interview with him once he comes to evaluate a rental apartment. If you are not sure how to do that you can always google it. It is not all about paying the rent on time although a lot of landlords think that. It is very important to know that you are living in that place in good hands and that whoever is living there will respect that apartment as it was his. This is something that you should figure out when you have that conversation. It would be great if you find a tenant by a recommendation but if that cannot be the case then you should find a good one all by yourself. When you become a landlord, things can be very simple for you as long as you manage to find a good tenant. At the end of the day, it all comes down to that. Someone who won’t steal anything and who will pay the rent on time. And take care of that place as their own. It sounds simple and in theory, it is. However, you will have to get familiar with all the rules and relationship between the landlord and the tenant. Step by step, and you will find a perfect tenant but as long as you are a perfect landlord.